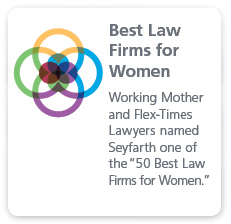 Seyfarth Shaw LLP combines its nationally recognized health law and real estate practices to counsel clients on real estate matters that are unique to the healthcare industry in all facets of real estate ranging from the acquisition and disposition of properties improved with healthcare facilities to the financing, development, structuring, and leasing of these properties. Our transactional attorneys guide owners and operators through the acquisition, development, and leasing of health care oriented properties, large and small. They work closely with our cross-disciplinary national Health Law Practice Group, to advise clients on the unique and complex issues associated with operating in the health care industry and ensure that our clients real estate transactions comply with issues such as Stark Law and Anti-Kickback statutes, state licensing, Medicare and anti-assignment issues, certificates of need and authority, as well unique operating concerns including HIPAA and patient privacy, hazardous waste, power and utility needs, overnight and/or continuous operational needs. 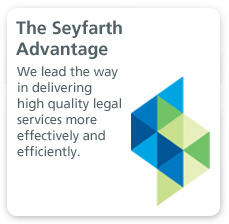 We also represent borrowers, lenders and other capital providers in the financing of health care related facilities. Our team combines its experience in asset-based and cash flow finance, real estate finance, capital markets, and health care regulatory issues to guide clients through the complex structuring, documenting and negotiating of health care related finance transactions. Our attorneys also serve as counsel to issuers and underwriters in a variety of tax-exempt bond financings for health care facilities. The team has handled transactions ranging from an $8 million acquisition financing for a skilled nursing facility to a $130 million cross-collateralized mortgage loan on 12 assisted living facilities across eight states. Recently, our team has represented a leading health care industry lender in approximately $100 million of revolving lines of credit to skilled nursing facilities and hospitals across the U.S.
A large part of what makes Seyfarth’s Health Care Real Estate & Finance practice unique centers around the firm’s distinctive client service model - called SeyfarthLean® - the combines the core principles of Lean Six Sigma with technology, project management, process improvement and practical tools. 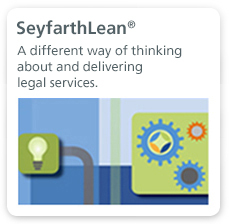 SeyfarthLean creates the platform from which we can offer our clients value, efficiency and ahead of the curve thinking.